by MERKS: Day 258, outfit 258. Today, I'm wearing dark green. 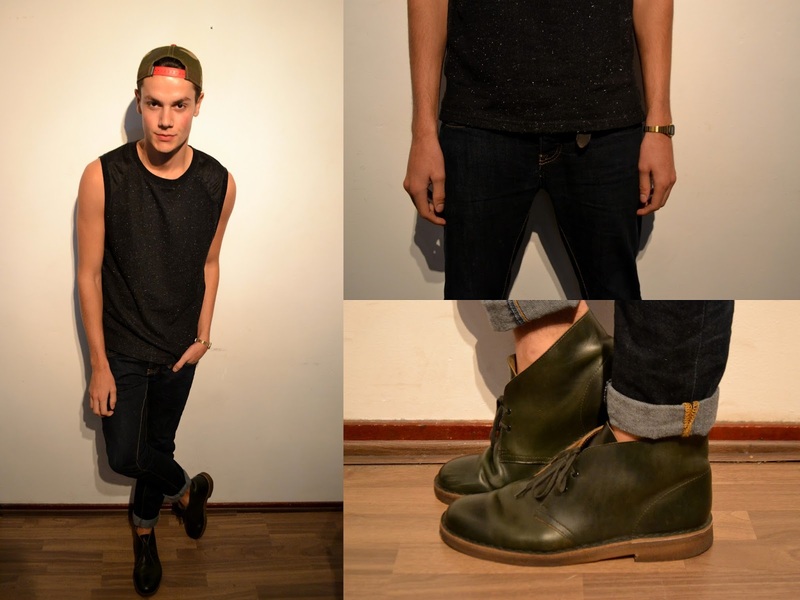 The dark green Clarks Desert Boots are back on, combined with a dark jeans, a black sleeveless Weekday tee and an army snap back. A WONDERFUL LAZY SUNDAY. WENT TO GOUDA FOR SOME GOOD LUNCH AND NOW OF TO A GREAT BAR FOR SOME DELICIOUS SUNDAY EVENING COFFEE. THIS WEEKEND WAS GREAT.